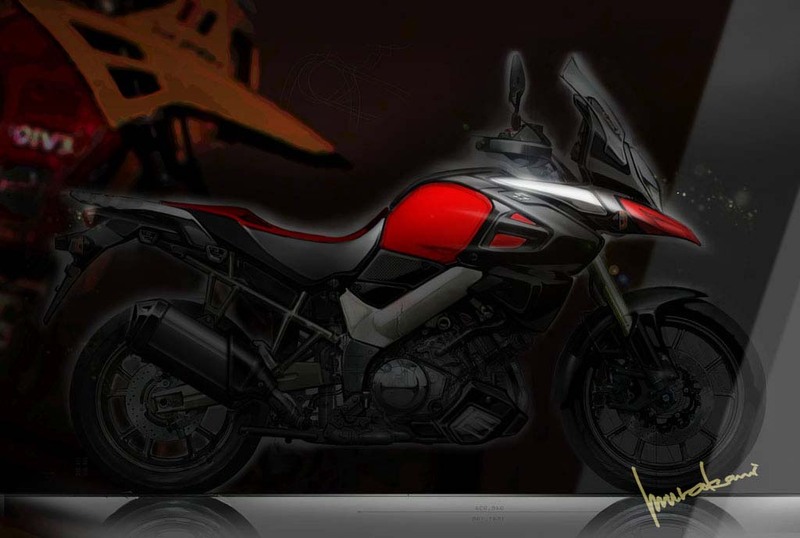 Suzuki V-Strom 1000 Concept – Coming in 2014? 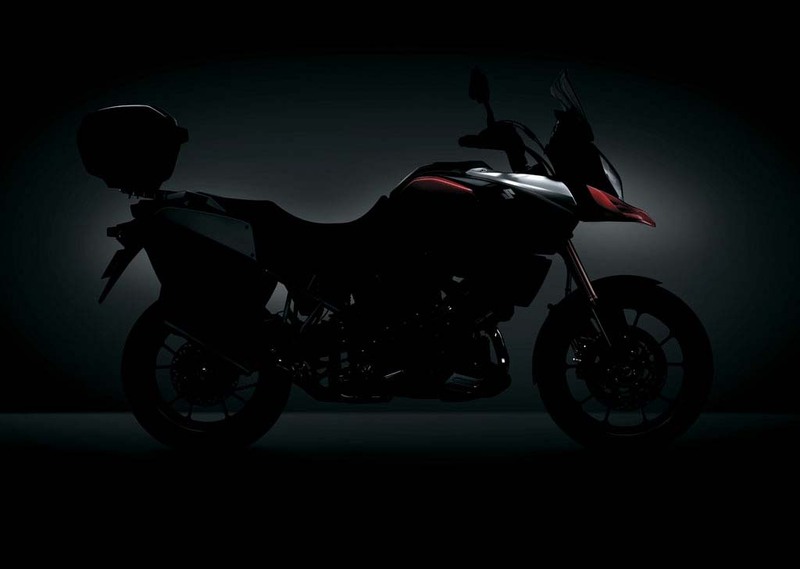 While the KTM 1190 Adventure and BMW R1200GS were grabbing all the headlines from INTERMOT today, we think the real news from the adventure-touring section is the Suzuki V-Strom 1000 concept, a nearly production ready bike that will debut in 2014. While Suzuki V-Strom owners we preach from the mountain the off-road prowess of their bikes, the truth is that Suzuki did not have adventure-touring on its mind when it built the V-Strom 1000 (or 650 for that matter), with the emphasis more on the touring side of that designation, than the adventure. 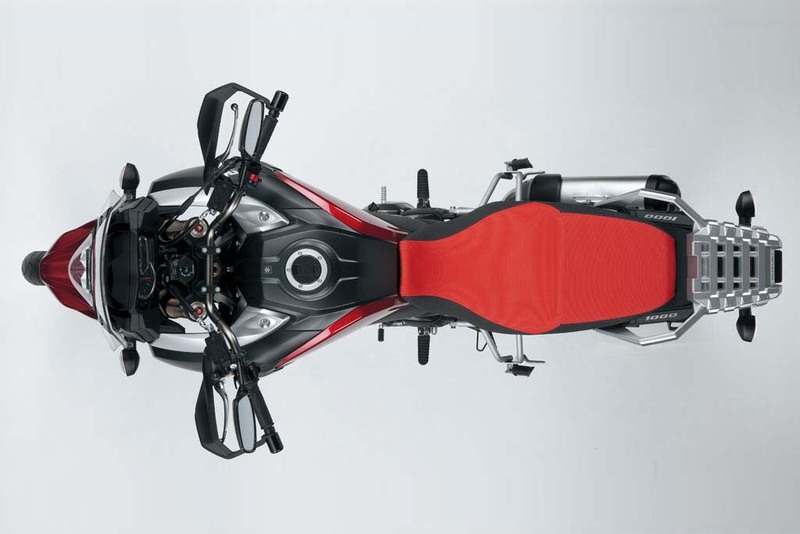 A quick look at the Suzuki V-Strom 1000 Concept for the 2014 model, and that has clearly changed. 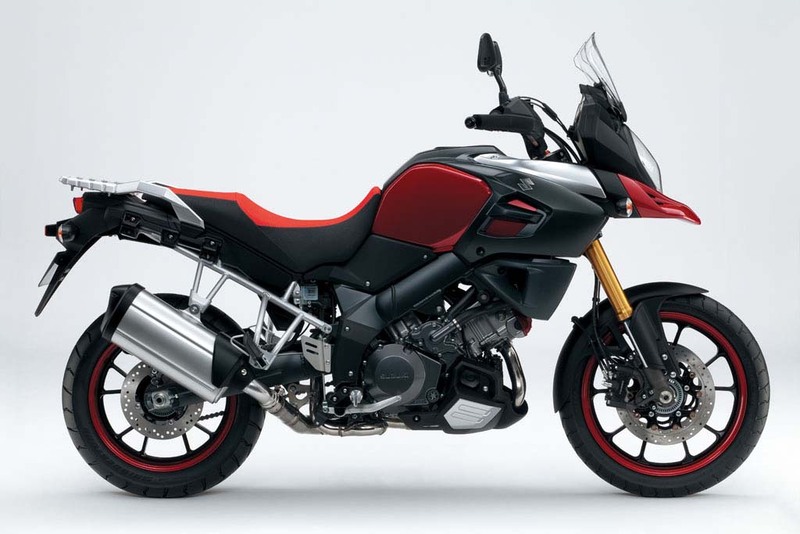 A bit late to the party, Suzuki has finally put together what looks like a serious ADV bike, which will likely rival other Japanese ADV bikes like the Yamaha Super Ténéré, and give BMW, Ducati, KTM, and Triumph buyers some serious pause before they plop down the extra cash on those premium market bikes. 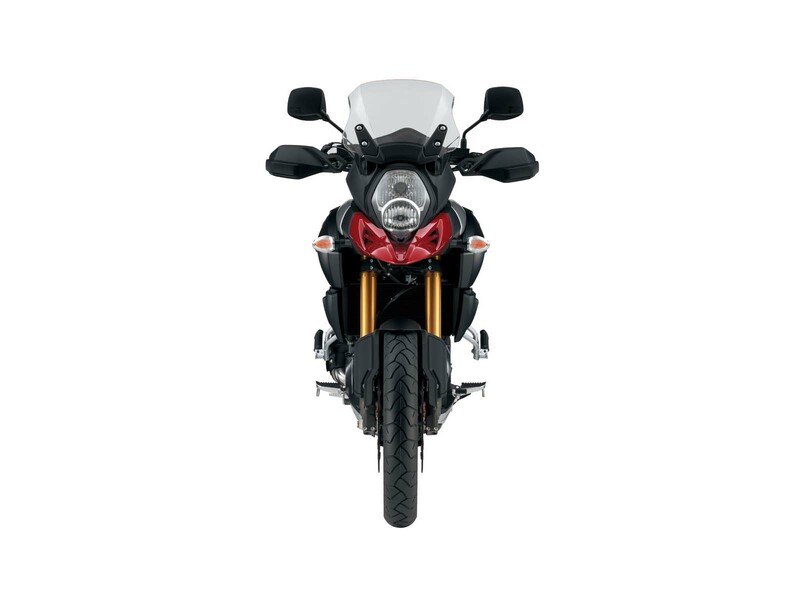 Originally built around the TL v-twin motor, Suzuki has built a whole new 1,000cc v-twin engine for the new “Strom” bike, and has added other features like traction control and ABS to the mix. 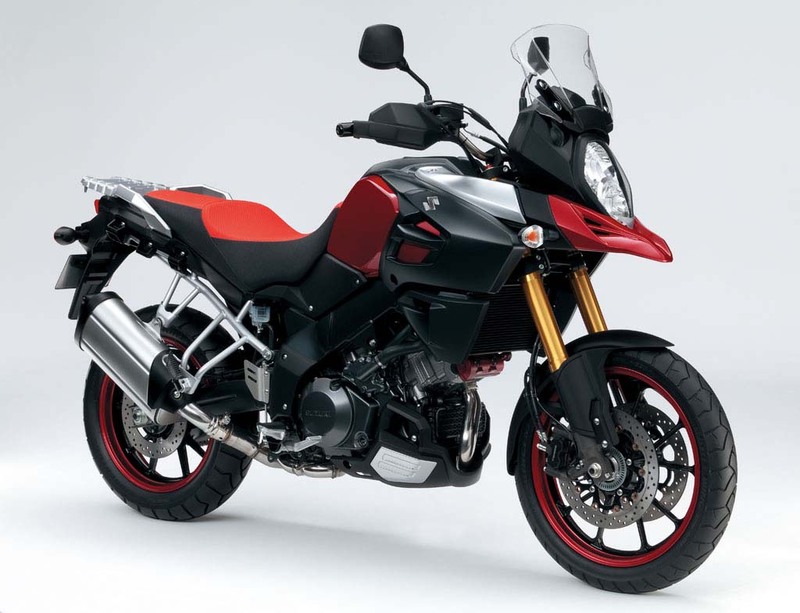 With 17″ wheels front and aft, the 2014 Suzuki V-Strom 1000 looks to be still a very road-oriented machine, though it is possible that Suzuki could produce the bike as two models, each with different wheelsets for road and off-road usage. 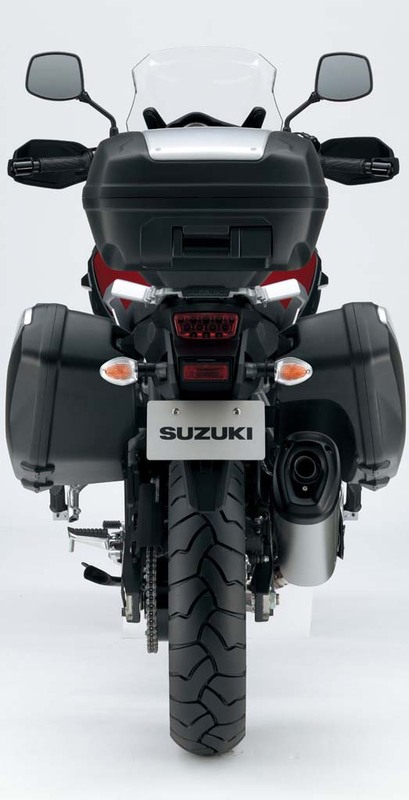 Seeing the traction and growth in the adventure-touring segment, Suzuki has clearly noticed how imperative it is for the company to have a competent machine to the growing number of ADV riders. 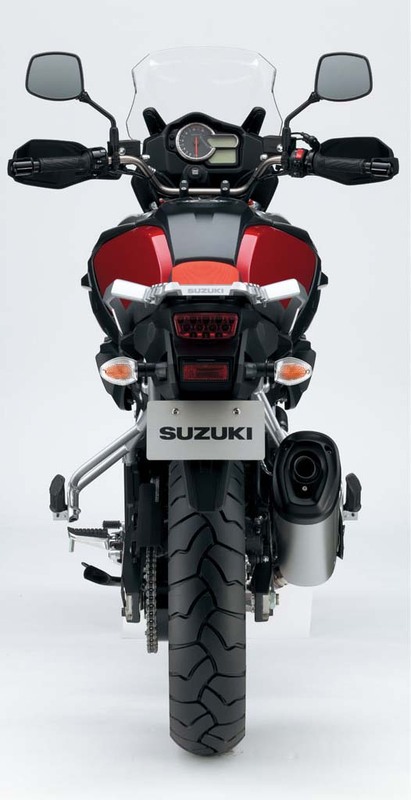 With this concept said to be coming into production in 2014, the question is then whether if Suzuki is too late to the party. 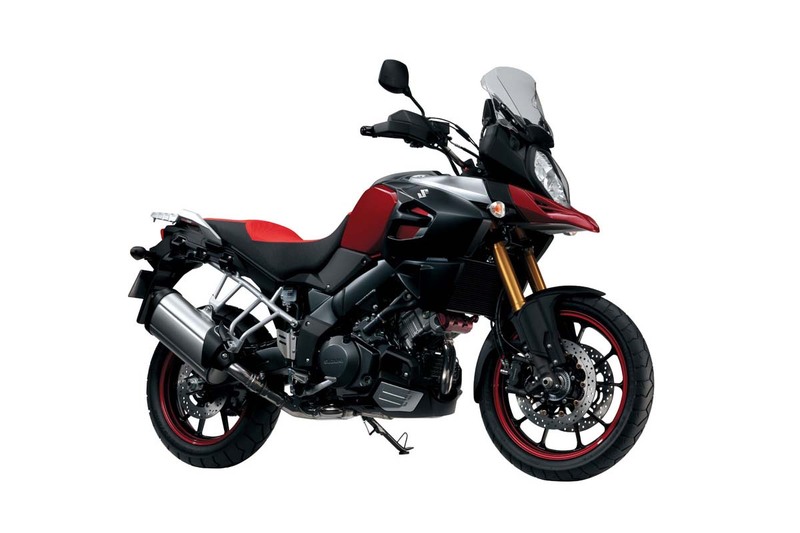 We imagine pricing will play a huge part in this equation, as the Suzuki V-Strom 1000 could be a serious contender if Suzuki can get the price low enough in the North American and European markets.